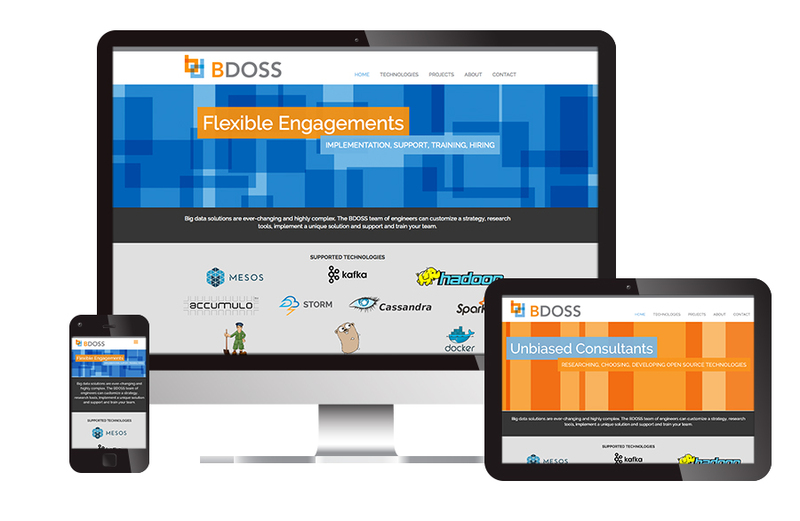 Big Data Open Source Security—BDOSS—helps IT teams navigate the quickly changing landscape big data by providing: exceptional insight and strategy; unbiased examination and recommendation of open source tools; and implementation, support and/or training for internal projects. After spending time learning about this highly niche tech firm, Visible Logic created a smart, clean logo that shows the overlapping and open ideas that permeate this field. Building from the logo, Visible Logic designed and created the key messaging for their web site, continuing the theme of mixing and transparency between systems. See more about the responsive web site.